Liberty University Theatre Arts Department Chair Linda Nell Cooper directed the show. She credited Rogers for popularizing styles of entertainment like stand-up comedy and solo acts. Known for his rope tricks and homespun humor, Will Rogers starred in Vaudeville and Broadway shows and movies, wrote daily newspaper columns and spoke weekly on the radio. He traveled the world offering political commentary through his jokes, and lyrics from the show’s song “Willamania” declare he had more fans than Shirley Temple. 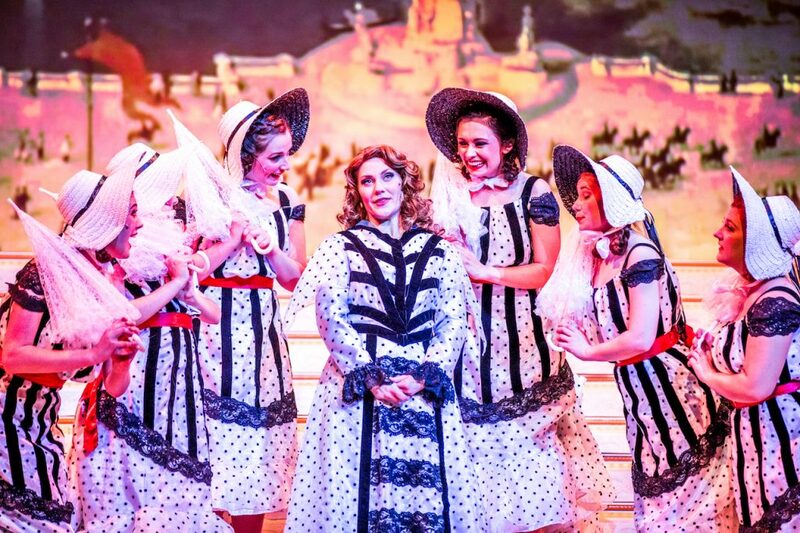 “The Will Rogers Follies” tells Rogers’ story as a Ziegfeld Follies show. Songs trace Rogers’ life through elaborate dance numbers and charming duets. Cheeky dialog often addresses the audience directly. 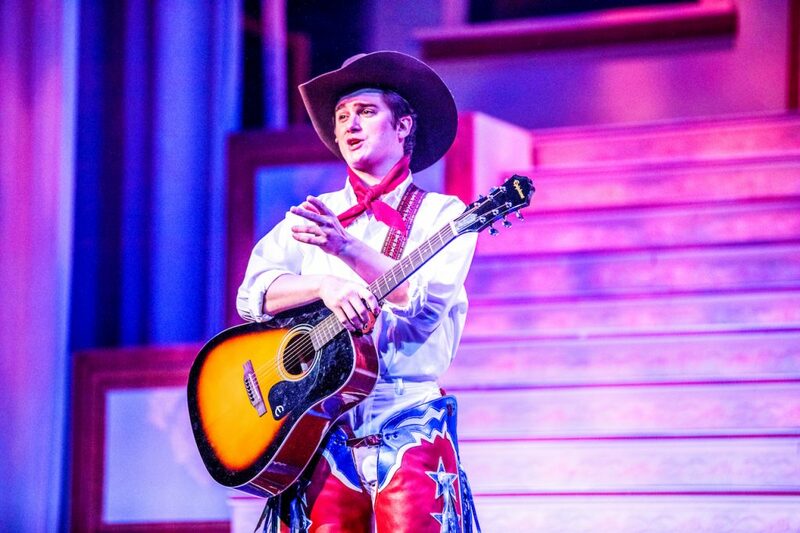 Liberty theater arts professor Andy Geffken portrays Will Rogers with a shrug and a smile. He slings a lasso and sings to his sweetheart with equal ease and charm, ad-libbing new jokes each night. The gum-chewing cowboy meets his match in Betty Blake, played with grace and gumption by Kelli Overmyer, a Liberty alumna. Overmyer sings as country sweet as her blue jean coveralls, then sends her voice slinking around her feather boa and ringing into the balconies. As Will Rogers’ father Clem Rogers, Liberty theater arts professor Neal Brasher shows off his musicianship with a good-natured scowl. 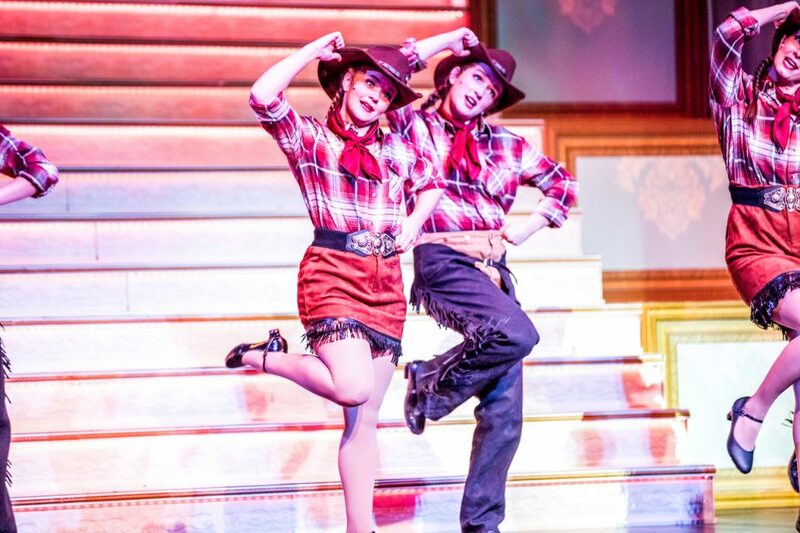 Liberty student Hannah Mehl kicks up her red cowboy boots as Ziegfeld’s favorite showgirl. 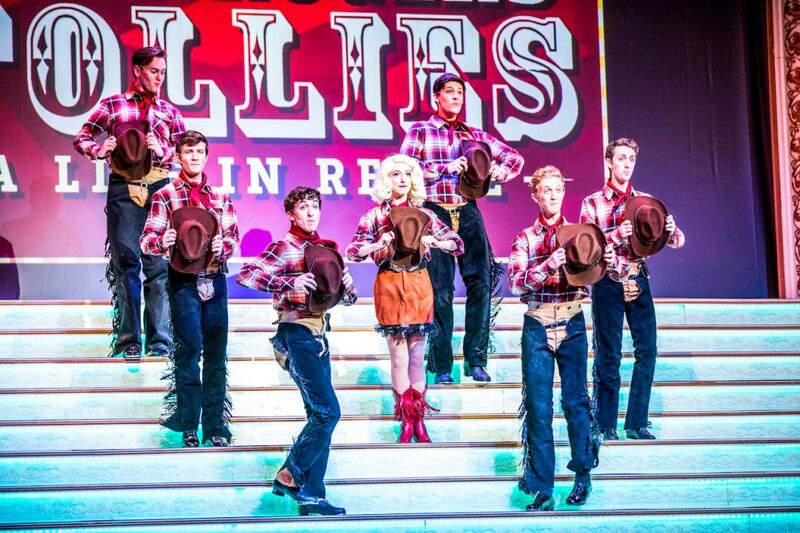 The entire chorus, in costumes ranging from cowboy hats and chaps to top hats and tuxedos, has mastered knee-slapping, hand-clapping choreography. They dance up and down the set’s massive central staircase, whooping and hollering, tipping and tossing their hats. Cooper said fitness trackers estimated they climb 25 flights of stairs in the course of a show. 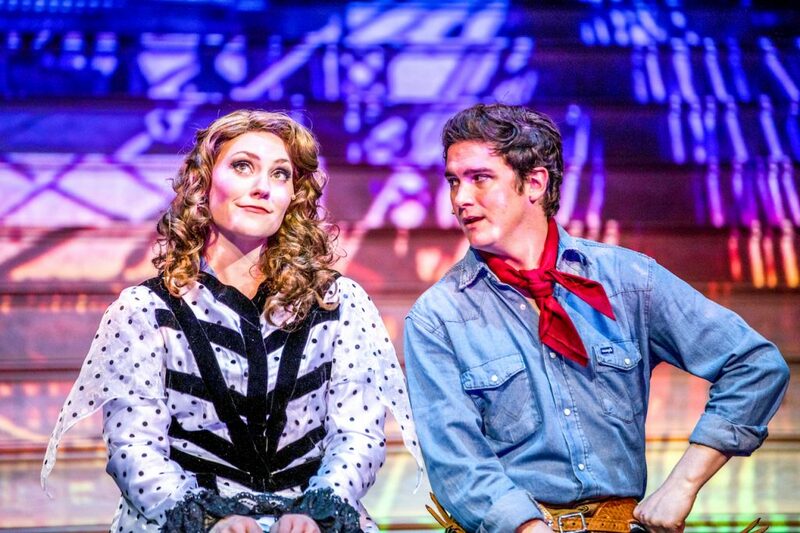 HOWDY—Alluvion Stage Company brings classic comedy to Lynchburg, starring Kelli Overmyer as Betty Blake (upper left) and Andy Geffken as Will Rogers (upper right). Performers also climb a set of stairs to reach the stage from their dressing rooms, unlike modern theaters where they are on the same level. Yet several cast members praised the theater’s beauty and history. “Finally coming and seeing it fully completed and performing in it, it feels like I’m not in Lynchburg anymore,” Shawl said. Overmyer considers the experience a highlight. “It just feels like an honor to be able to step on that stage and be part of this beautiful community,” Overmyer said. This show was chosen in part to showcase the theater, newly restored to its 1912 heyday. Set pieces descend from above with the help of historical rigging, manually operated with sandbags and weights. Projections help set the scene. Actors sit on the edge of the stage and dangle their feet over the orchestra pit below. Brandon Shawl, a dance captain, described the atmosphere created by the theater’s rows of red seats and moldings of muses and lions. 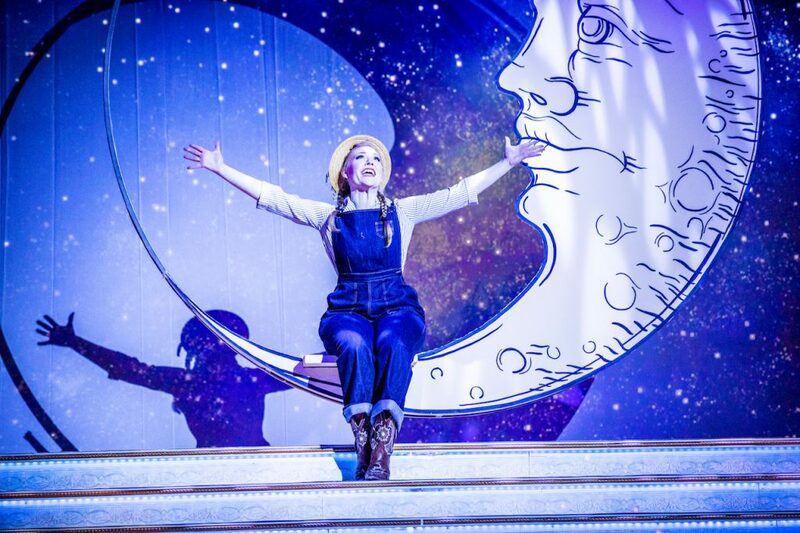 Audiences may know how the story ends, and the haunting chorus of “Take off, hey let’s go flying!” echoes through the show to hint at Rogers’ death. 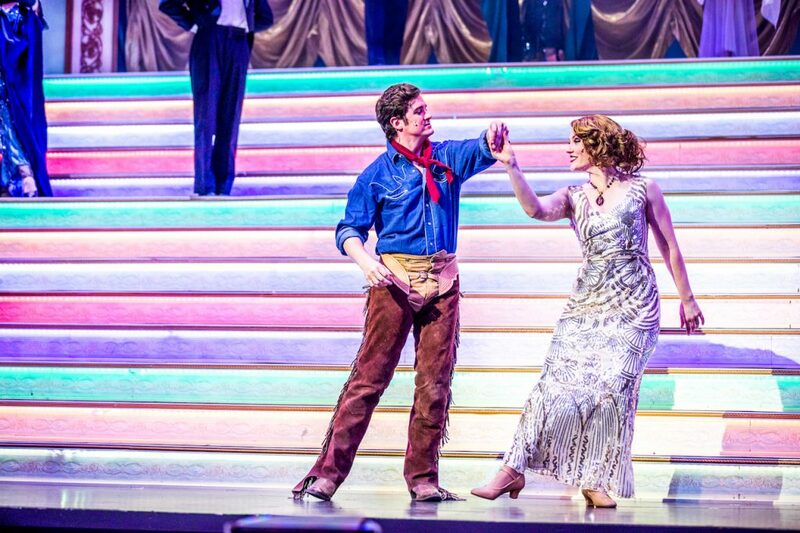 But with Alluvion’s dazzling production, audiences will still miss Rogers when he goes. With the chorus, they can tip their hats to an American icon. Tickets are available at www.tickets.liberty.edu or call (434) 582-7328. The Academy recommends parking in nearby lots open on weekends or in abundant street parking.